I visited Williamsburg on Monday. I spent the day with Lydia and Dave (who also bought the day ticket) going into colonial buildings and taking tours of the Governor’s Palace and the Capitol. We started by going into the Governor’s Palace where we had a tour of the home that the governor and his family lived in. Although this was a replica (of the 600 buildings in Williamsburg, only 80 are original), the builders put a lot of effort into making the building as realistic as possible. 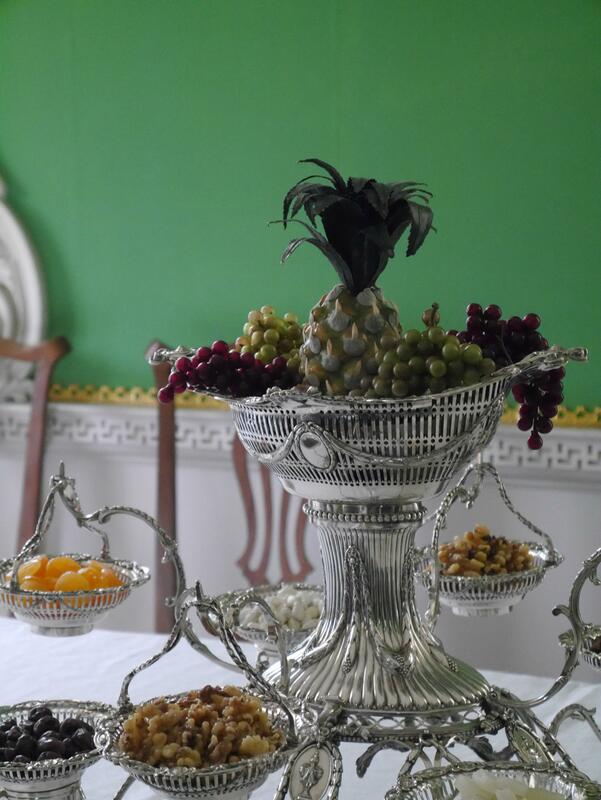 My favorite rooms were the ballroom and the dining hall as both were painted in bright colors, one blue and one green. The outside was also gorgeous as every colonial-style home is (see below). 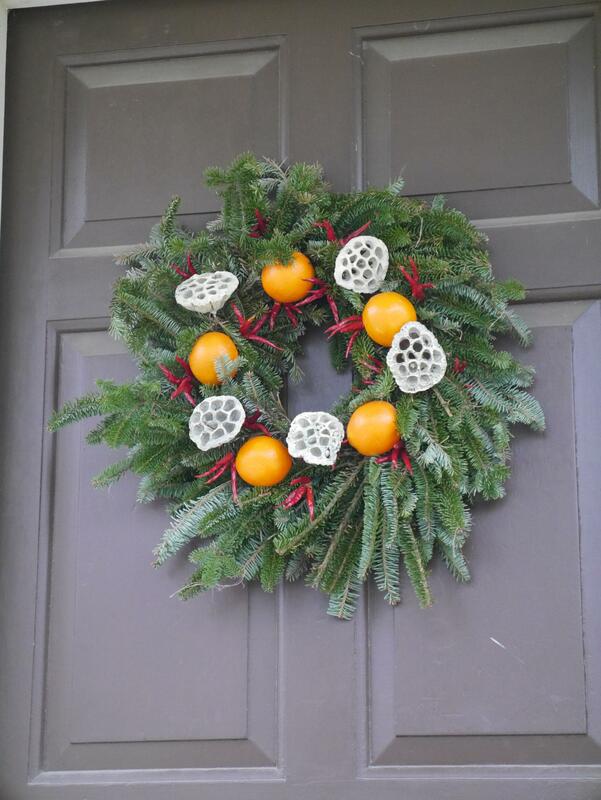 All throughout Williamsburg there were Christmas wreaths. It turns out that many of the buildings are privately owned and so the town has a wreath making competition. 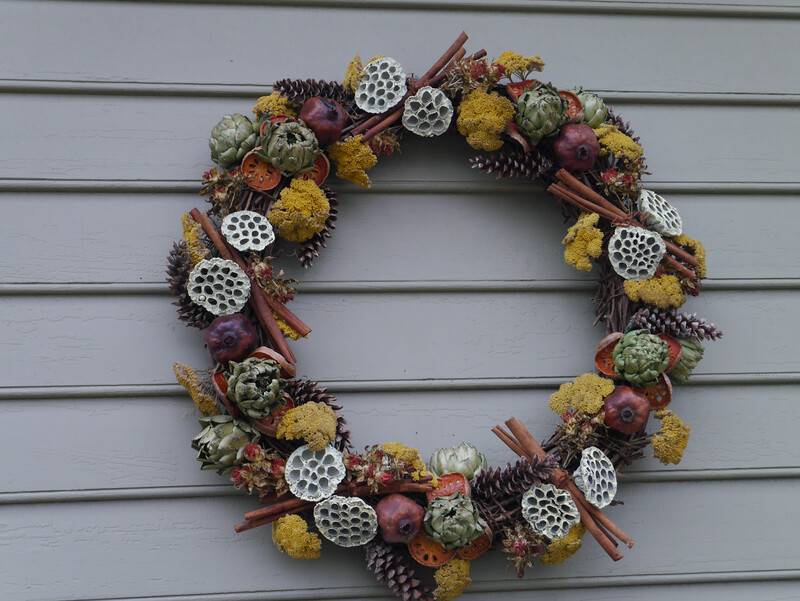 It was so fun to look for wreaths and find the prettiest ones. Seeing all these beautiful houses (in Williamsburg and in Richmond) during the Christmas season is making me think I’m going to have to step up my decorations next year! 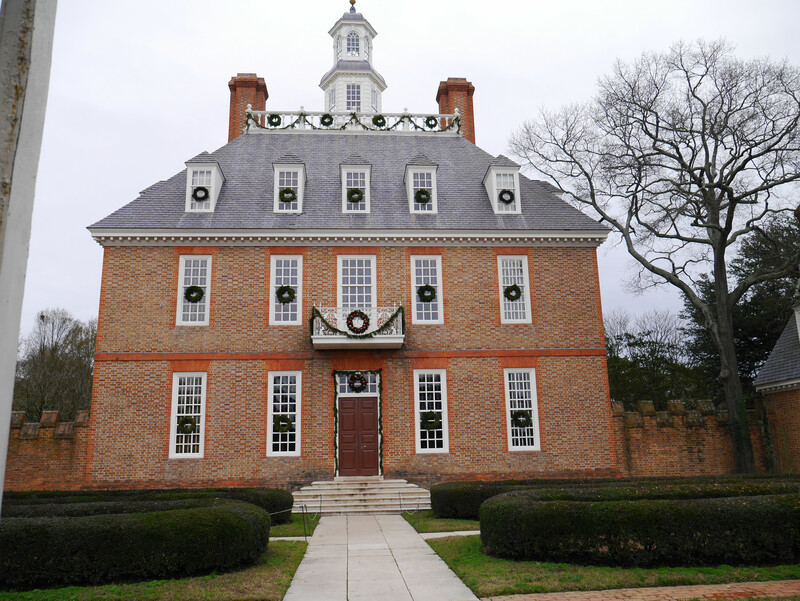 After the Governor’s Palace we took a quick stop in the court house where I learned that colonists in Virginia got to choose how they paid their fine for misdemeanors: whipping, money, or tobacco. I really liked that idea. We then made our way to a place called The Cheese Shop where we had lunch with the rest of the family. Although we had to eat outside in the cold, the food was good and it was nice to take a quick break. Lydia, Dave, and I then headed back to Williamsburg where Dave and I toured the Capitol. We stopped by the furniture maker who was explaining how to make a door, the wig shop where I learned one wig could last generations, and the book binder store where they were making books that cost hundreds of dollars all because of the leather covers. 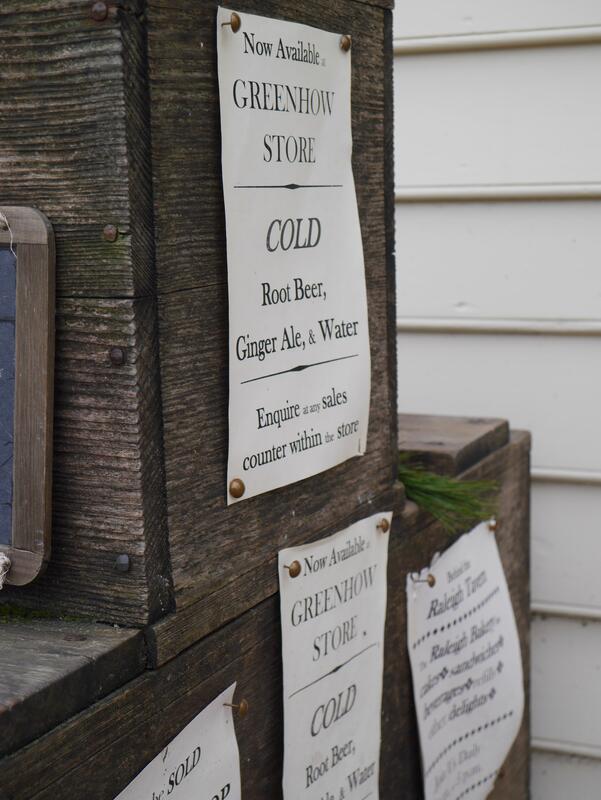 We also made a quick visit to the blacksmith where they were making fire starters. I liked the huge bellows that they had rigged to heat the fire. 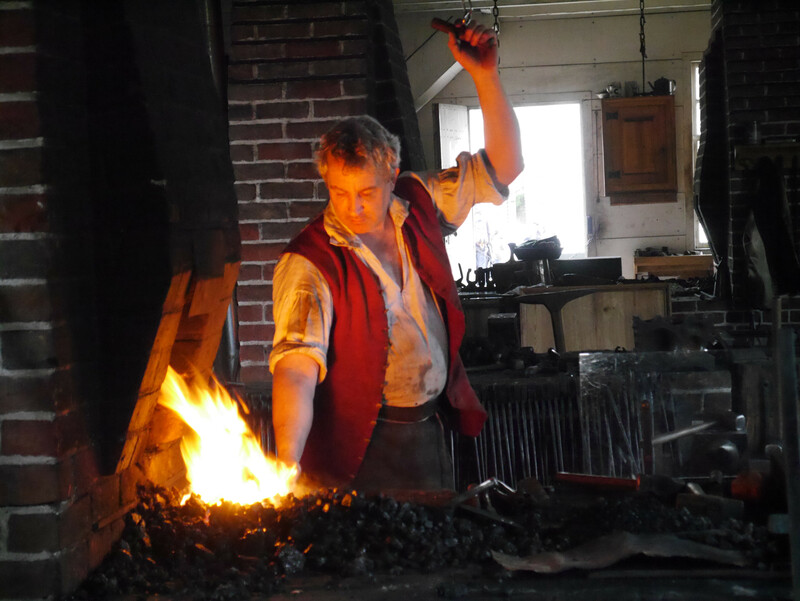 One of the blacksmiths reminded me of Bilbo from The Hobbit (see below). We ended the day with a purchase of gingerbread cookies and a run through of their art museum. I was quite tired by the end of it but had such a great day that it didn’t matter. So glad we took the time to visit. What a fabulous day! Do families actually live in the privately owned homes? I don’t know, it didn’t really look like it but perhaps there were back entrances.